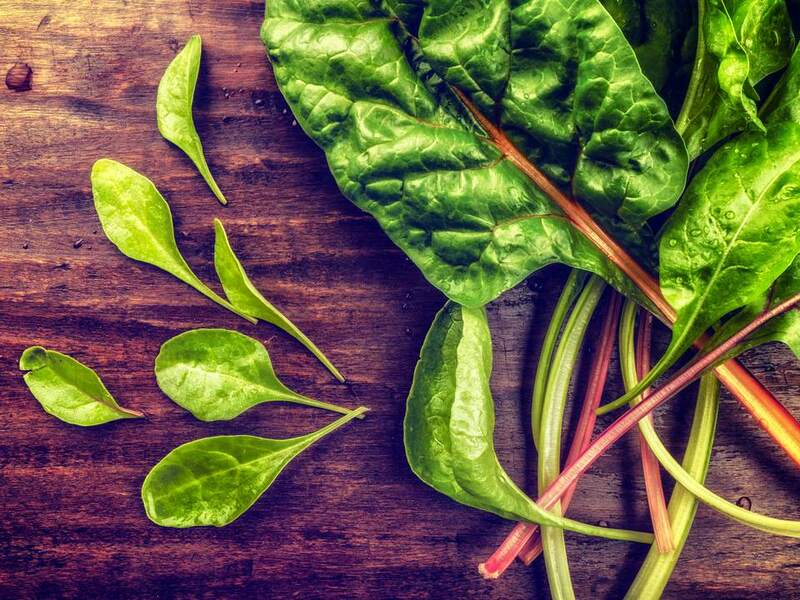 Chard's juicy, crunchy leafstalks deserve to be treated as a unique ingredient entirely separate from the leafy green parts. "Swiss" chard (they don't call it that in Switzerland, by the way) contains enough natural salts that it doesn't even need a salt brine to achieve lacto-fermentation. All you need is water and chard. You can use any variety of chard for this recipe. Rainbow chard, with its multi-hued leafstalks, makes a particularly lovely ferment, but the white-stemmed chard is fine, too. By the way, beets are the same species as chard, so if you have a bunch of beet greens, feel free to use the leafstalks in this recipe. Use fermented chard stems as a tasty salad ingredient, naturally rich in healthy probiotics, or add them to soups and casseroles. Wash the chard. Slice the green, leafy parts off of the thicker leafstalks and midribs. Reserve the leafy greens for another recipe. Chop the chard stems crosswise into 1/2 to 1-inch pieces. Put the pieces into a clean glass jar (it is not necessary to sterilize the jar for this recipe, but it should be scrupulously clean). Pour non-chlorinated water over the chard pieces. Most municipal tap water is chlorinated, and the chlorination can prevent a successful fermentation. To get rid of the chlorine, you can filter the water, or simply leave it out overnight in a wide-mouthed vessel such as a pot - the chlorine will evaporate out within 12 to 24 hours. Fill the jar all the way to the top, then loosely screw on the lid. The lid will keep the chard pieces submerged in the liquid. Place the jar on a small plate that will catch the overflow that may occur during the fermentation. Leave at room temperature for 24 hours. Note: Some of the chard pieces may darken slightly, especially those at the top of the jar. This does not affect their flavor. After 1 - 4 days, transfer the jar to the refrigerator to slow down the fermentation. Fermented chard will keep, refrigerated, for at least 6 months, but is best eaten within 3 months.